These findings are made in the same fashion as the rest of our copper core line. 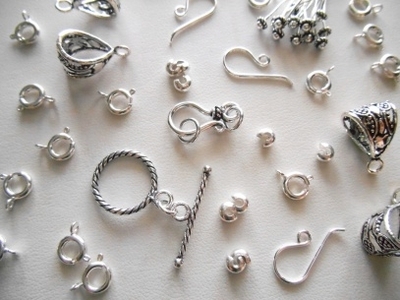 These hypo-allergenic earwires, bails, clasps and more are electroplated with an extra thick coat of pure silver. It will tarnish less easily than traditional sterling and will polish to look brand new. These findings serve as a great cost-effective alternative for people with sensitive skin.